T'is just that I've been REALLY busy. Posted by donnalyn at 7/30/2009 05:16:00 PM 0 squiggly notes..
As promised, I cooked Sinigang, our favorite Filipino sour soup, on Sunday morning. We let our original plan of going back to the inner harbor pass. All of us were too tired to get up early that morning so we went on with the day’s flow. We ate brunch and spent the rest of the morning chit-chatting again. While Nell vacuumed the car, us gurls never ran out of stories to tell each other. We once again laughed our hearts out until it’s time to go. We dropped by the Asian store to grab some veggies and meat we can’t find among Oriental stores here in Lexington. Our big basket got full and heavy as we paid twice a month’s grocery expense for everything. Not only prices were way cheaper but the veggies were so fresh. It was also our first time to come across pork meat with fats and skin (which makes a good lechon kawali), so we did not let go of the chance. We were hoping to get some green bags from there to preserve the veggies longer but had no luck. We finally hugged and bade our farewell to each other. I was teary-eyed, pretty sure to be missing them both. We hit the road the same time we left Lexington for Baltimore so we expected to be arriving home at more or less the same time we arrived Baltimore. 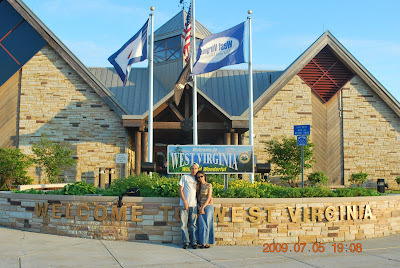 We stopped at the first rest area in West Virginia to eat our dinner and steal some of Lerrie’s and Dinesha’s crops from the barn. I drove the first half of the trip but eventually gave up when it went dark. I became so tense I can barely see the road. It was even harder to see the road when we got to West Virginia mountains since the roads were clouded with fog. Half-asleep and half-awake, we got through it below the speed limit and reach Lexington past our expected arrival time. Both exhausted, we went to bed at 2AM. Posted by donnalyn at 7/10/2009 11:59:00 PM 0 squiggly notes.. I am the early bird of the group. I woke up early, dropped by my barn at Facebook, made coffee, prepared my self and prepared packed lunched for the day. 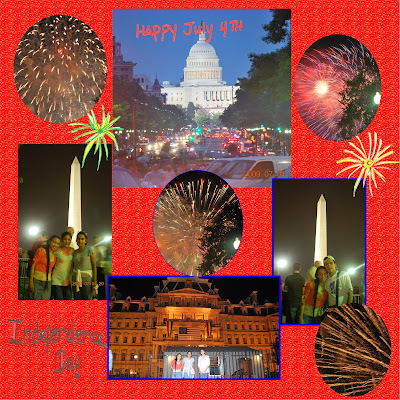 We are headed to Washington, DC for July 4 fireworks at midnight and some other free attractions in between. Crime and Punishment Museum opens 9AM. We got there about 15minutes before their opening so we took our breakfast for the meantime. This is the only museum with an entrance fee on our itinerary that day, but we settled on the idea of trying it since we thought it would be interesting to see CSI labs and forensic bits and pieces for real. While we were introduced to America’s big time criminals, we also procured a mission for extra bucks that forced us to be familiar with other documented crimes to come up with the solution to the puzzle. 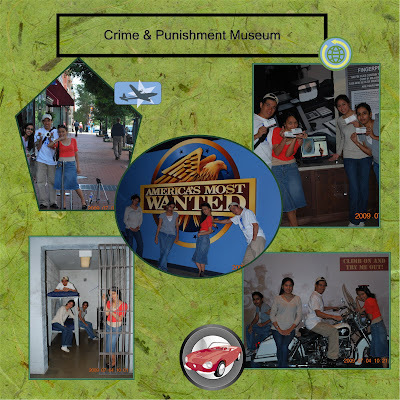 Aside from preserved evidences to the crime, we were also kept busy with the games we can play with involving crime and punishment. We also took a tour on America’s Most Wanted studio. What we estimated for an hour or two was extended to almost hours. 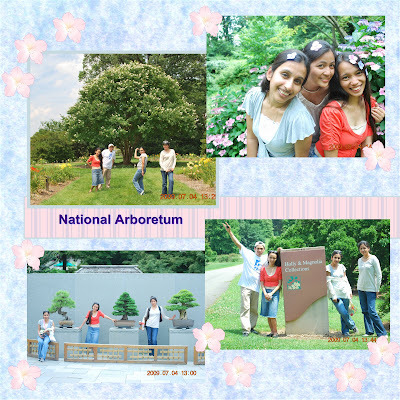 I was not impressed with the National Arboretum as much as I was with the UK Arboretum here in Lexington maybe because it’s the peak season of summer and most of the flowers seemed to be dying due to the heat of the sun. It was a much bigger place (and looks harder to maintain) but there’s nothing much we saw. I love the bonsai’s though. They were gorgeous and the best of what I’ve seen so far. 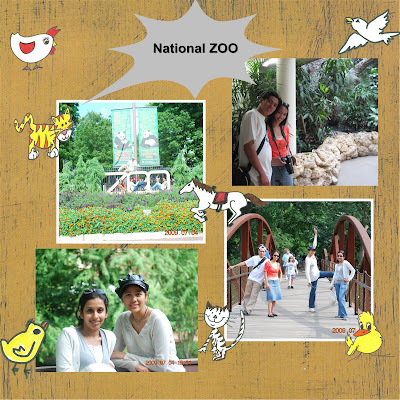 The National Zoo was another huge place. The main target was to see Panda bears. I was a bit upset on how the panda’s were housed. I was expecting them to be on outdoors but they were accommodated in a room with glass walls so people can see them. We just hope that those rooms were just their sleeping quarters and that tunnel like opening from the “outside little forest” leads to their dwelling. It would have been sad if all they have is that room space for their habitat. We saw a lot more animals but again did not have a chance to look at all of them. Not just because we ran out of time but we were also running out of energy. Time was too short! We need to get running back to Baltimore that same night and drive back to Lexington on the next day…. Posted by donnalyn at 7/10/2009 10:52:00 PM 0 squiggly notes..
As expected, we were late for our schedule on day 1. First destination was the National Aquarium. The view surrounding it already took my breath away. 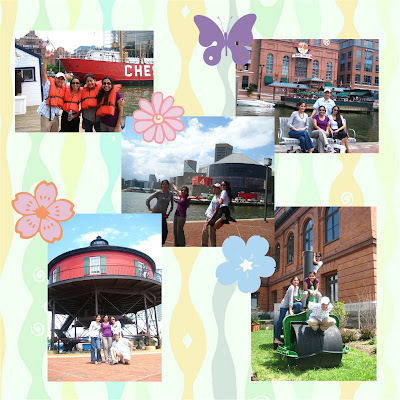 The inner harbor was so beautiful with all the ship museums and those colorful dragon-like and plain white boat rides. Tall buildings ranging from malls, museums, restaurants, pubs and the like stood stunning. Sadly, since we were in a hurry, I did not have the chance to take snap shots of everything. 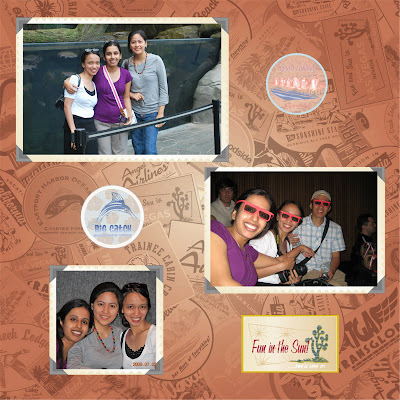 Inside the National Aquarium, we were entertained watching a 3-d movie about sea creatures in the theater. What I thought was ordinary turned out to be almost real as we found ourselves screaming for unexpected strokes and pokes on our legs and backs. Water splashes on our faces come from everywhere. Snow and bubbles also appeared from out of the blue. It was fun but kids got so scared that some parents have to get them out of the theater. It was for kids like us not for the little ones. My favorite was the dolphin show! 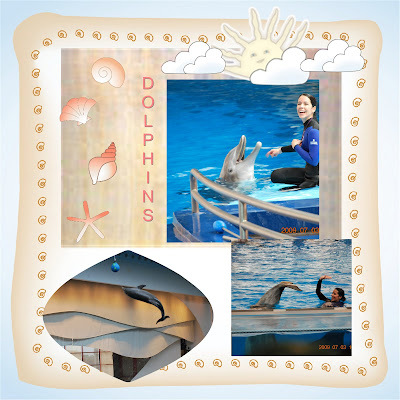 I was both amused with what dolphins can do and got real interested on how they are trained. Most of all, dolphin smiles made me want to go as close as I can to them and just hug them. They are so adorable and sweet! I told Nell I want one for Christmas… That was my first time to see them up close and personal. I must admit, I fell in love at first sight with them. The aquarium itself was amazing! I’ve seen sea creatures I’ve never seen before nor even imagined they exist. There were both colorful and dull-colored creatures, big and small. However, everywhere in the building was so crowded that we really were not able to take a peek of all there is to see. We missed some but I guess we’ve had enough. My precious camera’s battery went dead as we went out and decided to stroll around. So I again missed taking shots of the outside. After a day’s walk inside the National Aquarium, we tumbled ourselves to the white boat rides to relax for half an hour. It was so cool… It made me a bit nostalgic as it reminded me of my pump boat experience back in the small island province where I grew up. The next few hours were spent walking round and round, posing for crazy shots courtesy of Lerrie’s camera. We finally headed home when it rained since we decided we needed a good night rest for the next day’s itinerary. Posted by donnalyn at 7/10/2009 05:38:00 PM 0 squiggly notes.. I have not fully recuperated from my so-called big trip but I can’t wait to blog about it! It all began with when I initiated an email wondering if Dinesha and Lerrie did any of the laboratories in our Algorithms course. Confirming they both did not, it ended up in an exchange of daydreaming conversations that gave birth to a brilliant idea. Dinesha asked of our plans for July 4. Having none (except fireworks with the church youth group), I told her nothing really exciting. She asked for the closest airport to my place but we realized it was too expensive. Without any definite plan in mind, we opted to search for flights from Arizona and Baltimore, which was way cheaper than from Arizona to Lexington. Just a month ago, I and Nell planned to go to Washington to have our passports renewed. Lerrie kindly offered her place for us to stay so we can save bucks than staying in a hotel. It is a 9-hour drive from point A to point B. It must be tiring but is compensated with the fact that airfare is quite expensive compared to gas consumption when we drive. So if Dinesha says yes, our long time plan will be made real and it will be our first big trip. Without having enough time to think about it, I giddily suggested that Dinesha can fly; we drive, meet at Lerrie’s place and spend the long weekend for our reunion. I got over with midterm exam quite easily maybe because just five days after that is our scheduled trip. I proposed an itinerary to the group, wanting everything set when we get there so we won’t be wasting a single second. Although work got me busy2 days before the trip, my acting TL let go of me early on the big day.We got to Baltimore on our estimated time. 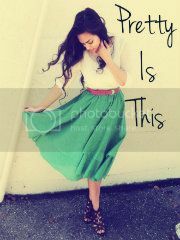 Believe it or not, us gurls spend over night chit-chatting and laughing our hearts out. While Nell managed to ignore our noise and get a good morning sleep, we went to bed past 5AM on the first night. 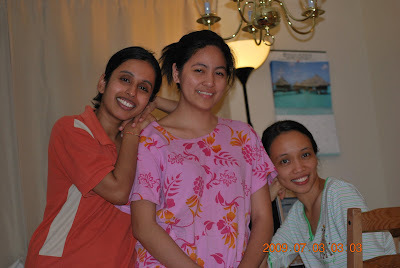 Oh how I miss them, my beautiful friends! Posted by donnalyn at 7/10/2009 05:32:00 PM 1 squiggly notes..